Every now and then I am obsessed and fascinated by green energy, although I have never done anything with it apart from running my calculator on a tiny photo voltaic cell. The green energy fever hit me hard this time and resulted in buying my first solar panels. It started with my frustration of hearing the water transport pump in the garage, which pumps the water from deposit 1 to deposit 2. Which does not really make sense if I would pump it straight from the mine to deposit 2 and from there let it flow naturally by gravity to deposit 1. So in fact deposit 2 becomes deposit 1. This would save a lot of energy, as the transport pump is consuming 750 Watt per hour and the few meters and more distance and 2 meter higher altitude would not really affect the energy consumption of the pump in the mine (1150W). 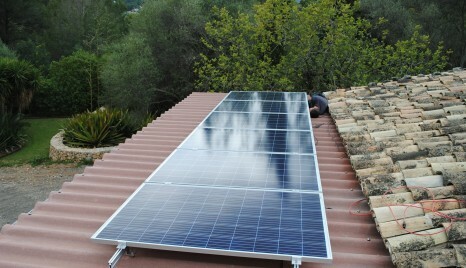 Then I thought about placing solar panels on the roof of the garage. The angle of the roof is quite ok, facing the south, it's not too flat and not too steep. 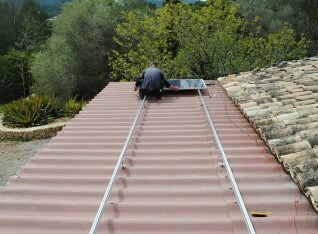 10 panels of 1.75 x 1.00 meter can be placed on the roof. 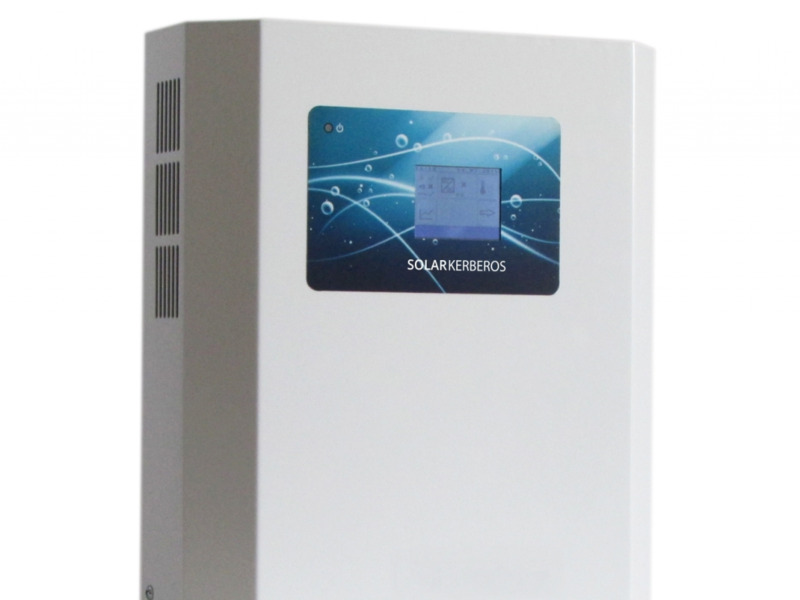 With each panel generating max 300 W, it could be good for 3 kW. More then enough for powering the initial pump in the mine and the pressure pump in the deposit on the right side of the garare. What would I do with the excess electricity generated by the solar panel array ? Batteries would be the solution, because feeding it into the grid has issues: to get a permit seems to be a nightmare and you just get a lousy 5 euro cents per kW while the actual market value of 1kW is €0.23 here in Spain/Mallorca. I have found a list of all countries in Europe and what is surprising is the difference in pricing per kW per country. The lowest price per kW can be found in Bulgaria, just under 10 euro cents and the highest are found in Denmark and Germany with just over 30 euro cents. How can the price be 3 times more expensive within Europe? About the so called 'feed-in' tariff , so the price you get back from the electricity company for your extra kWs if you don't consume much and if the batteries are fully charged... This proves the power of the energy giants. They want to keep this tariff as low as possible as everyone using solar panels is competing with them. So they come up with extremely high cost for the transport of the electricity and other silly costs which are not really relevant and of course they must still make a profit. It's so wrong that in the past we decided that public services should go to the private sector as it should encourage competition. 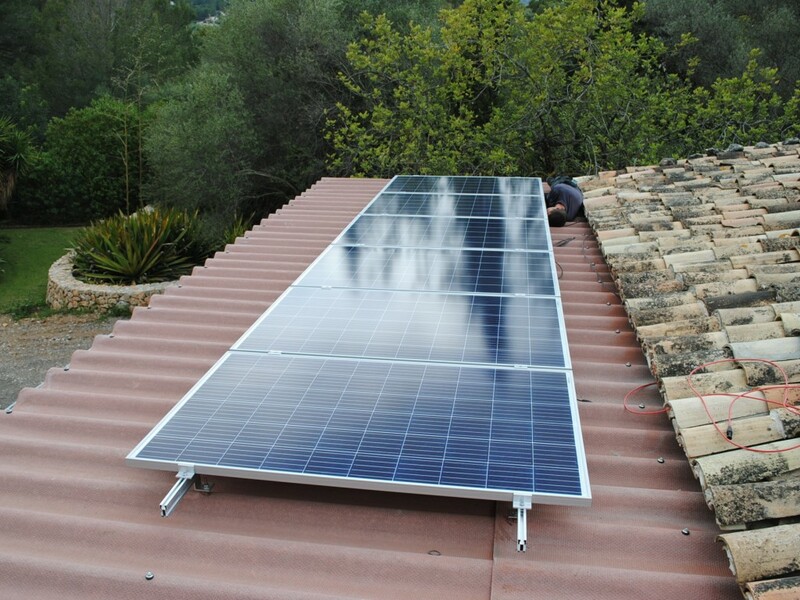 If the feed-in tariff would be reasonable amount of say €0.15 (with a normal consumer price of €0.20), it would encourage people much more to place solar panels on their roofs. So I forgot about trying to get a license to feed in the extra generated kWs. But still.... I can't stand the idea to throw away clean energy if your batteries are fully charged. I don't like batteries by the way, they have a limited lifetime and I don't see it as the future. Which brings me to the next subject: H2, hydrogen. Q: can I power my home through solar panels and hydrogen? Q: can I use the hydrogen as fuel for my car? Q: can I avoid the use of normal batteries? I have done some googling and first found an American who has already proved that solar panels in combination with hydrogen generation can work and go completely off grid. He is even generating a profit of $15,000 per year by feeding excess kWs back into the grid. Mike Strizki is his name and he makes it all look very easy and understandable. So it's all feasible now, it's possible, although still expensive, the cost for such a operation will go down over time. For more information about Mike Strizki's project go to The Hydrogen House. So it's possible and I would love to prove it as well here on Mallorca and just-do-it ! I have bought 6 solar panels of 275W each and a inverter / controller which is especially made for being connected to a water heater. Water heaters in our houses are besides the water pumps the most electricity consuming devices. 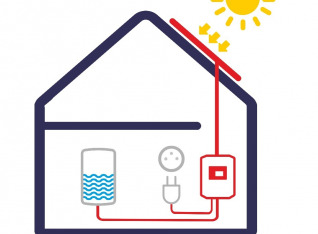 The Czech company Solar Kerberos makes a special controller to which you connect the incoming wires from the solar panels and to the water heater connections of the thermostat and to the grid for backup power. I have bought their most basic model for just connecting it to 1 water heater, no batteries. It's a first test. 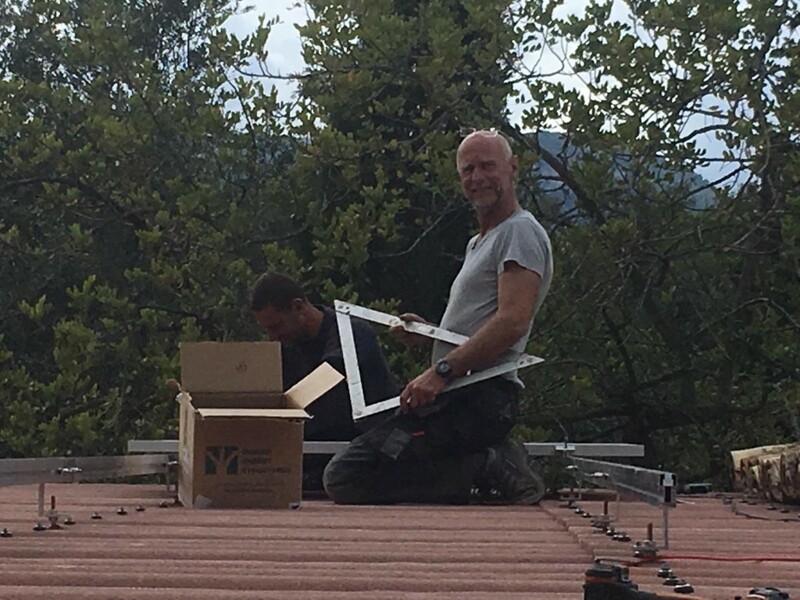 The solar panels are being placed on the roof of the terrace of the cottage today (after I have completed this blog post Ondrej and myself will place them; Ans is now collecting the Kerberos 315.B from the post office). We will monitor the system closely but it should be possible to save €200 per year on electricity costs for the 100 liter / 1500 W heater of the cottage. So the pay back time will be about 5 years. Having 4 houses here we could save €800 per year, but let's get some hard proof first. We have a lot of roof surface on all houses and the angles are perfect, not to steep and not to flat. All roofs are facing south except our own house (west/east) and most of the roofs are not visible from anywhere as we are situated on a slope and there is nothing on the higher side. In total I estimate that we could place 25kW of solar panels on the roofs (workshop, cottage, bad house, garage, winch house). 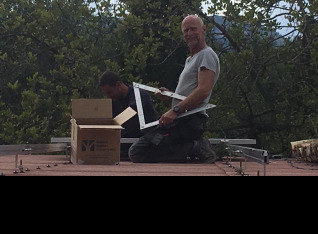 This is more than enough to go completely off grid and use the hydrogen for our cars - Mike and Hans-Olof's houses have 21kw and 23kW. How great would that be ! Total investment for everything would be around €75.000 of which the hydrogen generator would be the most expensive part (€40.000). It's far from realistic at this stage but I will be doing some more search and things may change quickly. Panasonic has announced that they will bring a hydrogen generator on the market for home use in 2021. I will keep you informed about future developments related to this subject. Our next blog post will be about the final creation of the big arches. Today we expect to receive the polystyrene forms and we have already started to make the support for this. So next week we may be ready to pour the concrete. We are also making great progress on the lake project. We are finally using our high expanding cement (Splitstar) and this works even better than we thought after the first tests. It's working so good that after having filled about 100 holes and removing the rubble we can really see the lake appearing. Right now I hear Ondrej scraping away the remains of the top layer, so I can see where to drill the holes for the next round effectively.